ATTENTION: Your workstation setup may be the cause of your bad posture! Well… You’re in luck! I have decided to give away this FREE e-book that I wrote to help you address this very problem! 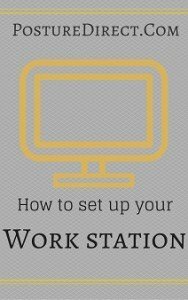 This e-book will guide you through the simple strategies on how to adjust your workstation to fit you. Don’t wait until it’s too late to do something about your posture! This e-book may just be the exact thing that you need to read today. Please take full advantage of this giveaway. It’s all for you! I have been getting issues with people with AOL email. Could you please message me on face book private chat and I’ll send you a direct link. I would like to know where we can book a time to see you? Any number or a practice we should call? Ebook didn’t autodownload for me either. Extremely helpful stuff you are doing here. I have been diagnosed with swayback from an x-ray. I have lower back pain almost all the time especially when I stand a lot. I plan to follow your exercises and stretches. I do have a question about posture when I relax and read. I sit on a piece of dense foam with my legs out straight (my heels “drop” over the edge) and I lean my back against another dense foam triangle. Is this reading position bad for my posture? Hey Sid, I replied to this comment in the Sway back posture comments. Hello mark. Ive tried to enter my email address. But its not working. Can you help me with this? Thankyou so much. 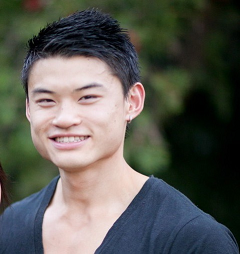 Can you please email me at Mark@PostureDirect.com and I will send it to you directly myself. I entered my email address for the e book..but it doesn’t seem to work…can you help me with that? I am so sorry it didn’t work for you.